Dworkin was a professor of law at New York University as well as an emeritus professor at University College, London. After hundreds of years of common law in England and the United States, it is rather hard to truly create something original and transformative. 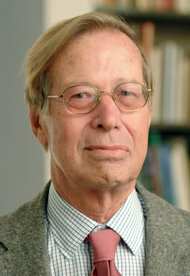 Ronald Dworkin is one of the few academics of this century who could claim such a distinction. His Law’s Empire was a transformative and original scholarly work. Dworkin’s view of the act of interpretation by judges rejected the positivist theories of leading intellectuals like H.L.A. Hart who Dworkin succeeded as the Chair of Jurisprudence at Oxford. Dworkin wrote about the intersection of law and morality and tied his interpretivist theory to a morality based reading of the Constitution. For many, Dworkin was something of a legal prophet who tried to invest legal interpretation with a sense of moral reasoning. His writings offered a new and transcendent view of the law – a view that will influence legal reasoning for generations. Dworkin saw an underlying moral context and purpose in constitutional text. That moral foundation shaped his interpretivist approach to understanding the evolving meaning of the language. 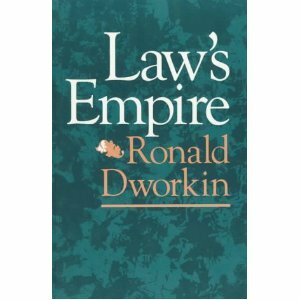 The very limits imposed on government power in Dworkin’s view were the expression of moral principles. While he is criticized as a moral relativist by some, his writings were powerful and at times poetic defenses of a moral interpretivist view. He clerked for the famous Learned Hand in New York — an powerful image of two of the influential legal thinkers of the 20th and 21st century working in the same office. Farewell Ronald and well done. Very good article and so is the Washington Post Article. We sometimes segment legal scholars into niches and then pass by some of the work that they have done on issues or thought processes. We Americans are different because we have had this Constitution for all these years. The Framers were pretty darn smart. The Framers of the 13th, 14th and 15th Amendments were smart as well. That Second Revolution made America Exceptional. This particular scholar has us look at the finer aspects of what I would characterize as Constitutional Morality. To afford some guy a fair trial before a jury of his peers is the essence of a moral society. I intend to go to the library and read more of Dworkin’s writings tomorrow. In his honor. PS: Great article in the Washington Post JT. There are secular morals and there are religious morals. Muddying the waters by mixing the two is difficult to avoid. Thanks for the help Mr. Dworkin. RIP. RIP. His kind of mind will always be missed. May his memory live and his words count. “…he attacked legal positivism of the kind espoused by Hart, and elevated rights above formal law, at least in some hard cases. Dworkin was always aware that law and in particular adjudication were, as he once put it, “a branch of morality”. In 2011 he published Justice for Hedgehogs, an extended essay on this insight. The title was a reference to Isaiah Berlin’s famous distinction between those intellectuals who, like the fox, have many ideas, and those who have “one big idea”.